As the seasons change, so does the temperature. With the various seasons and temperature changes, the living conditions inside the home change as well. In the summer as the sun begins to heat the earth, the temperature inside a home might rise, making the home uncomfortable to rest in without adjusting the inside temperature. In the fall and winter as the heat fades and is replaced with a bitter, stinging cold, the temperature inside a home will change once again resulting in the need for added heat to take place. Throughout the year as the different seasons come and go, a homeowner relies strongly on his or her homes ventilation system to provide the amount of heat and air flow needed to meet the family’s needs. Ventilation is important to a home and the overall function of a home. Without a house vent, the air inside the home can become thick, stuffy, and uncomfortable possibly even a concern for ones health. When people live inside a sealed off environment for a long period of time, heat and moisture can build up in the draft ducts, trapped with no where to go. Without a house vent, the trapped heat and moisture can quickly grow into dangerous bacteria such as mold and mildew. When mold and mildew begin to develop in the house vent, serious health concerns such as asthma and allergies can begin to manifest amongst the family members. A quality house vent will work as an exit portal for the moisture and heat while allowing fresh cleaner air to circulate throughout the home. A house vent serves many purposes like the ones mentioned above without drawing negative attention to it. When one stops to think of how powerful a house vent is, one might imagine a large bulky appliance that creates an awkward conversation piece; this is simple not true. Several vents might be placed throughout the home in order to achieve evenly dispersed airflow they do not have to draw unnecessary attention. Several manufacturers are aware of how important the look and feel of a home is to its homeowner, so they have strived to provide a series of decorative house vent options that will complete a home’s décor and still function properly. 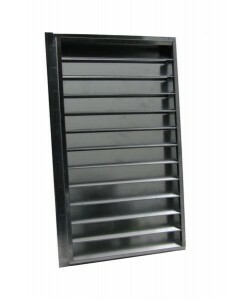 House vents come in a wood or metal. The homeowner can select from a variety of finishes that are sure to add a unique and custom look to their home.